The GP at Hand app claims to reduce pressure on primary care and hospitals, yet is being blocked from expanding in the city following concerns about patient safety. The app being blocked comes during the same week that the NHS is struggling with WannaCry, after losing some 10,000 records last year and just weeks after the NHS kicked off a startup challenge for financial innovation. The equality impact assessment, carried out on behalf of NHS Hammersmith and Fulham Clinical Commissioning Group (CCG), from which GP at Hand has operated since November 2016, found that it was “more likely to address most barriers than traditional GP services” in 10 out of 11 protected groups. It especially found the app made it easier for “vulnerable migrants and homeless people” to register for NHS general practice. A GP at Hand spokesperson said the report “shows that we go further than traditional general practice in addressing barriers to access for people with protected characteristic. The UK’s new Health Secretary, Matt Hancock, himself a customer of the GP at Hand service, is a firm advocate of such new health technology. “Emphatically the way forward is not to curb the technology — it’s to keep improving it and — only if we need to — change the rules so we can harness new technology in a way that works for everyone: patient and practitioner,” he said. The results of the assessment come as NHS England is consulting GPs on changes to the GP contract which would boost the expansion of ‘online first’ providers of GP services. A wider review of GP at Hand’s "outcomes and impacts," which is being led by Ipsos Mori is still ongoing. Babylon's services have caught plenty of criticism in the UK. 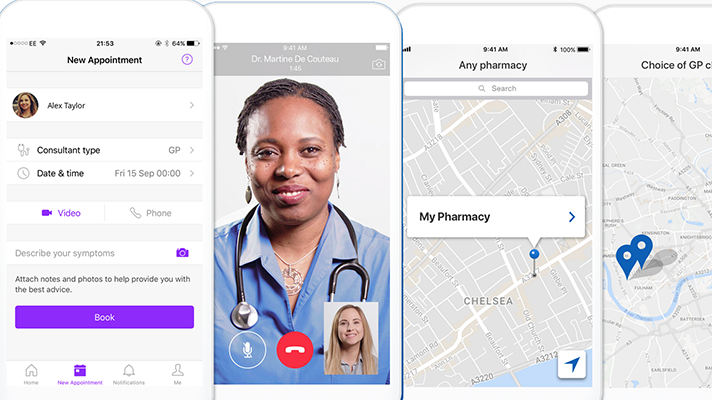 In late June, the company's announcement that its triage chatbot outperformed doctors in a simulated version of the UK’s Member of the Royal College of General Practitioners (MRCGP) exam made waves, but was quickly contested by the MRCGP and others on social media.